Hop in to the thrilling Castle of Chaos 5D interactive ride for an unforgettably fun and exciting ride that offers unexpected surprises with each twist and turn! 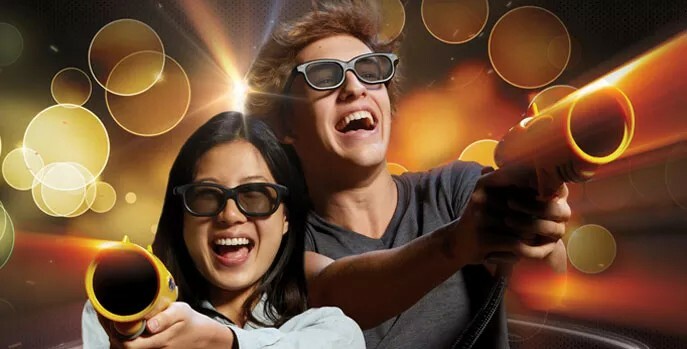 World’s First 5D Adventure Ride! Turn, Shoot, Twist, & More! Booking tip: Castle of Chaos – 5D Ride is very popular, advance reservations are recommended! 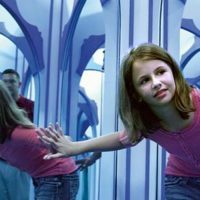 World’s FIRST 5D Interactive Ride! 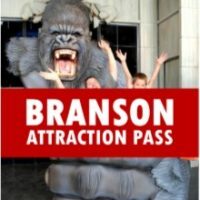 The world’s first and only 5D interactive ride, this attraction is set inside the Hollywood Entertainment Center (home of the Hollywood Wax Museum, Hannah’s Maze of Mirrors, and Shoot for the Stars Mini Golf course) and offers visitors the chance to take part in one of the most exciting and thrilling adventures in Branson! Open every day of the year and taking new riders about every 15 minutes, this short ride will tickle your senses and offer a thrill-ride experience unlike anything you have ever had! 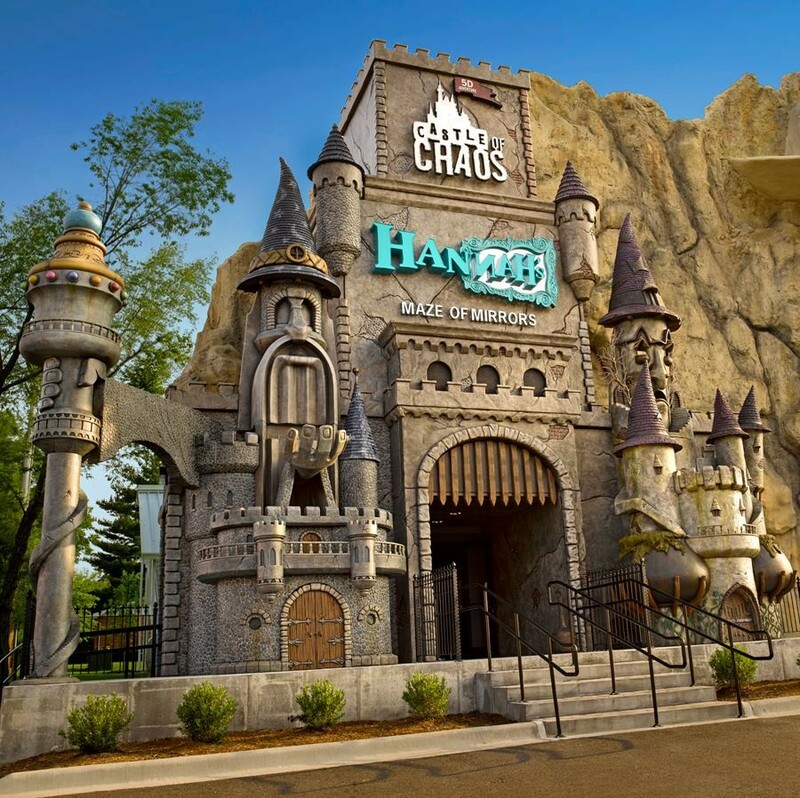 An interactive and multi-sensory adventure awaits you at the Castle of Chaos 5D ride attraction in Branson! 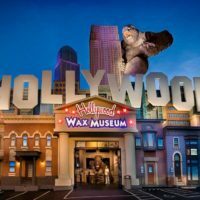 Utilizing state-of-the-art technology and special effects to deliver one of the most thrilling things to do in the area, you can take part in this multimedia experience that everyone in the family will love. Combining multimedia, audio, visual, tactile, and even smells to excite your senses – it is the world’s very first ride that incorporates all of the senses. 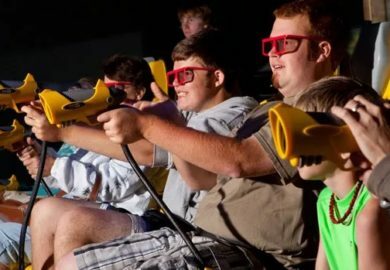 Described as being a mix between a 3D movie, video game, and them park ride – it’s one of the most unique attractions that you may ever come across. Take a trip back to the 1920s in an attempt to discover what happened to Carli Winepeg and her crew (famous horror film movie stars and filmmakers) when they suddenly vanished from the castle in which they were shooting. 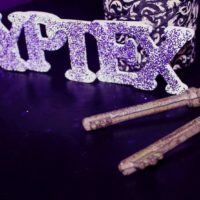 You will battle against evil and dark forces as you shoot your way to safety, competing against the others in your attempt to rack up the highest score. 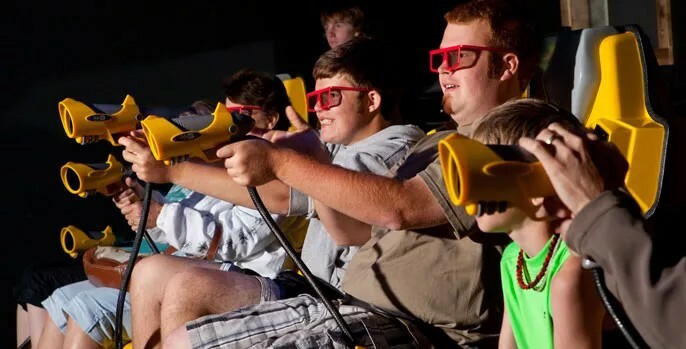 Using the latest technology to deliver a ride and experience unlike any other, this cutting-edge ride uses a 3D projector, high-end surround sound, lighting effects, a rotating platform base, animatronic figures, and many more hidden features that you will simply have to visit to see. The ride has been recognized by the International Association of Amusement Parks & Attractions as one of the best new attractions in the world – a statement to the time and thought that have been put into creating this one-of-a-kind attraction. 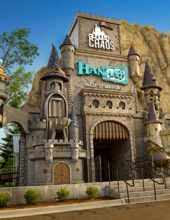 The Castle of Chaos is one of the most recent additions to Branson’s Hollywood Entertainment Center, a facility that also houses the Hollywood Wax Museum, Hannah’s Maze of Mirrors, and Shoot for the Stars Mini Golf. We haven’t visited since they’ve done the new updates to the ride, but did it several times in the past and had a fun time.